Gospel musician Joyce Blessing was on the Delay’s Show on Viasat1 looking fashionable to talk about series of issues, right from how her singing career started to her plans for the future. When she was asked why she had the complete makeover look meant for people who are perceived to be worldly, she said Jesus Christ is a fashionista. “The man called Jesus Christ that we follow is someone with a fashion sense, I mean just take a look at how he created or molded human. You can tell He knows his left from his right so you need to package yourself well. Only then can you be taken serious,” she said. According to her, being a Christian does not mean you should be dirty or look unkempt. For her, everything about you as a Christian should be on point. “The fact that you preach Christ doesn’t mean you cannot look good. I mean if I come to your house to tell you about Christ and I’m dressed in tattered clothes, you might mistake me to be a fraudster or a beggar but if I’m dressed nicely, you will take me serious,” she said. 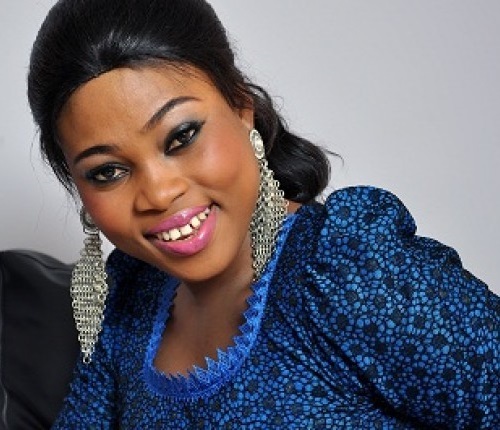 Joyce Blessing started singing at age 16 at the Seed of Christ Church and later joined “See Them Band” for four years. She has backed the likes of Professor Kofi Abraham, Jewel Ackah, Osei Boamanfi, Ernest Opoku, Diana Asamoah, Mary Ghansah and others in the studio.